I’m on a quest to use recycling that my local council don’t recycle!! One of those is plastic! 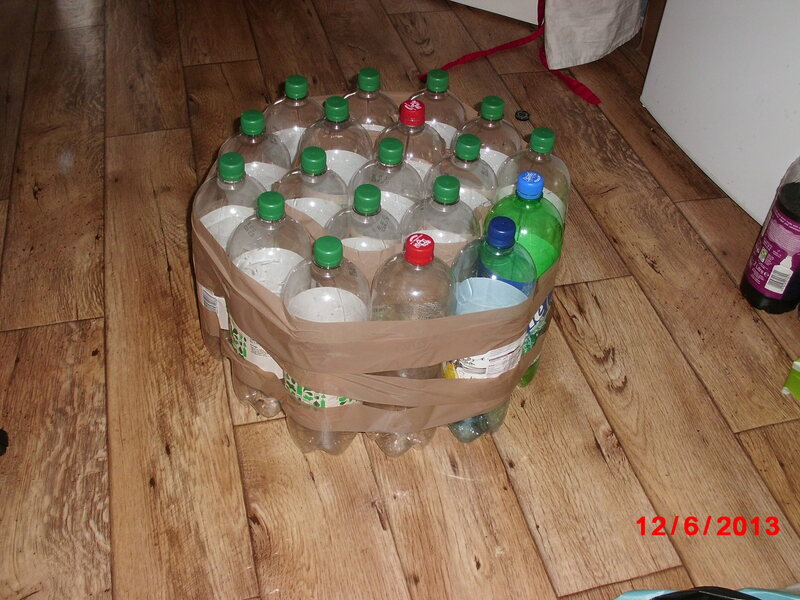 I saw a great tutorial for a foot stool made from 2 litre plastic bottles (empty). 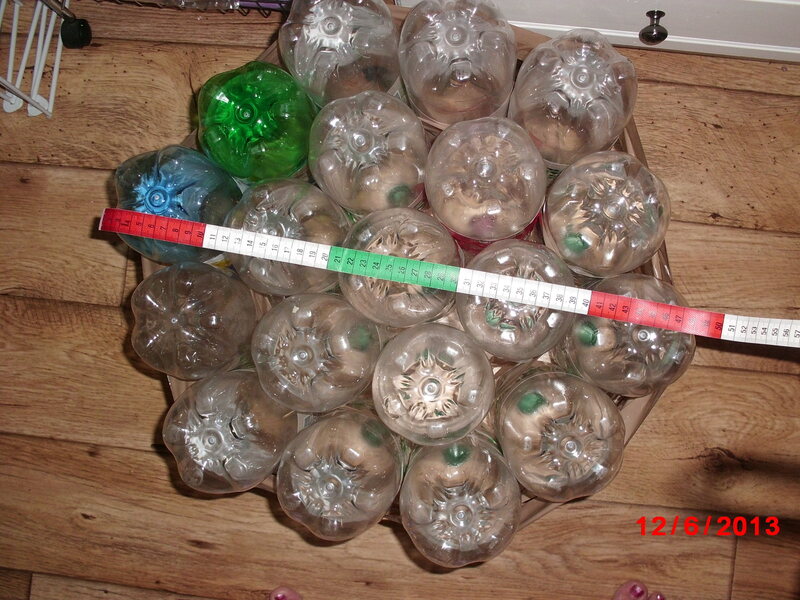 First I laid out the bottles to check the size of the foot stool & position of the bottles. I took away the outer row & taped together the inner ones. I did try to tape the whole thing together as stood above but was impossible with bottles flying all over like a wacky game of skittles! After that I taped outer layer to inner part to make the final core. Now you have to measure it. I did this at the bottom for a more accurate measurement. 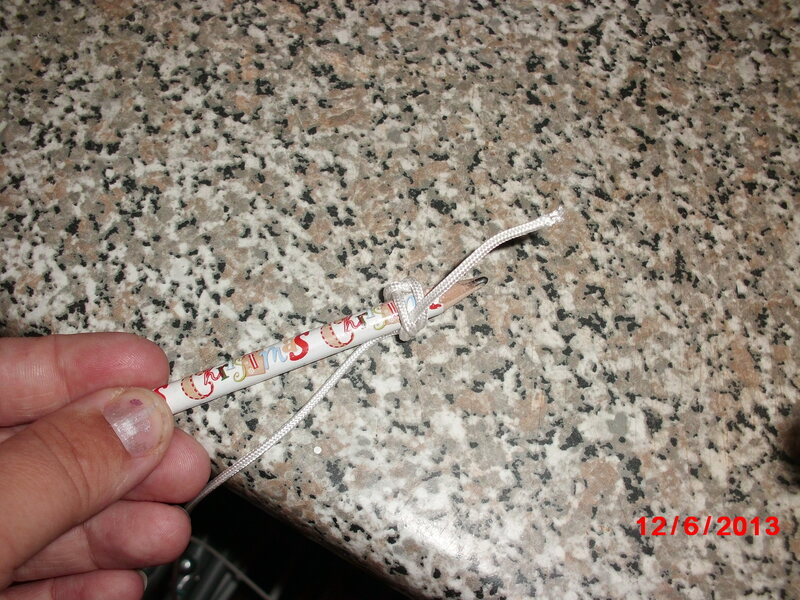 Tie some string onto a pencil near the sharp end. Taking the width of the bottles half this & measure from the pencil to this length on the string. 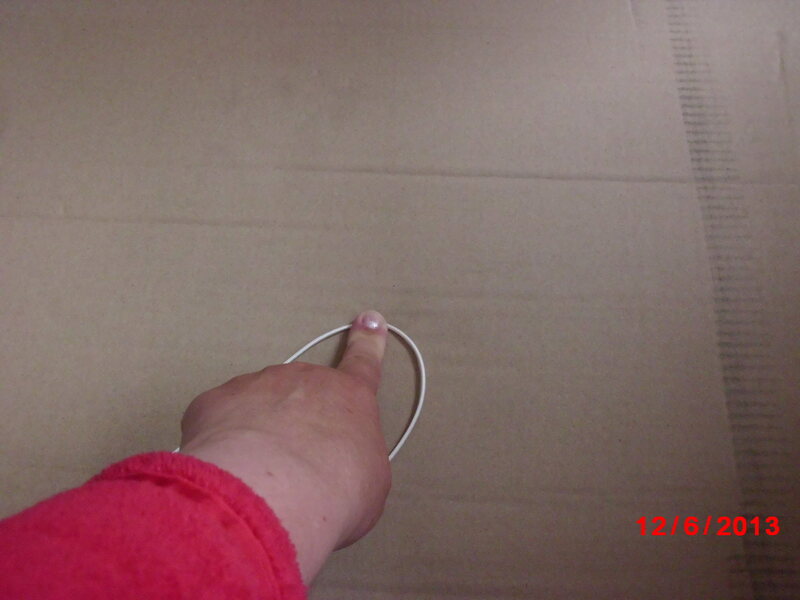 At this point hold it in centre of a large piece of cardboard. 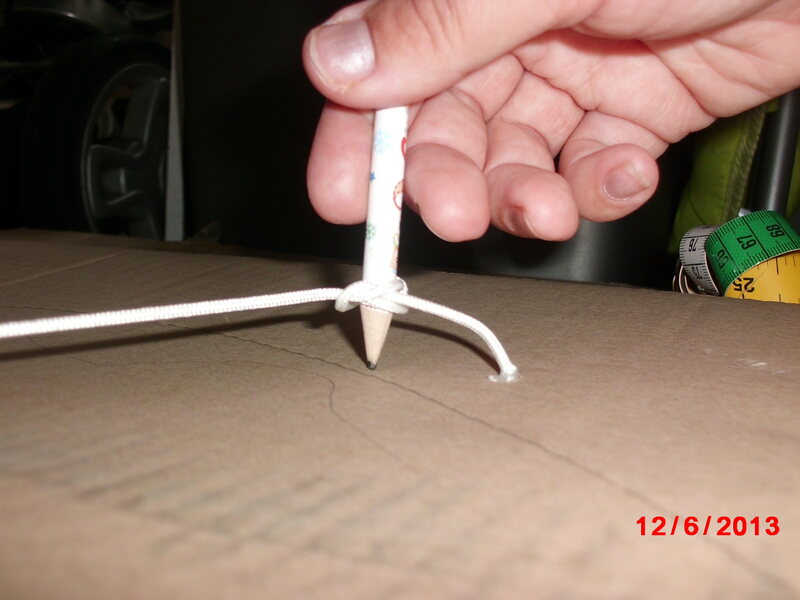 Holding the string form & pencil to the card draw a circle. This may not be overly neat just try your best but unless you have a huge compass is your best way to draw this. You need 2 circles. 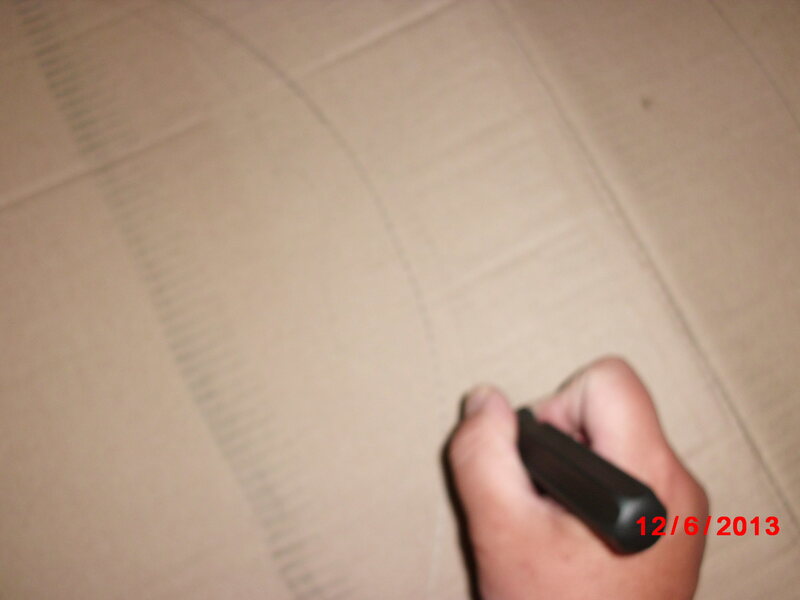 I used a craft knife to cut around this line. 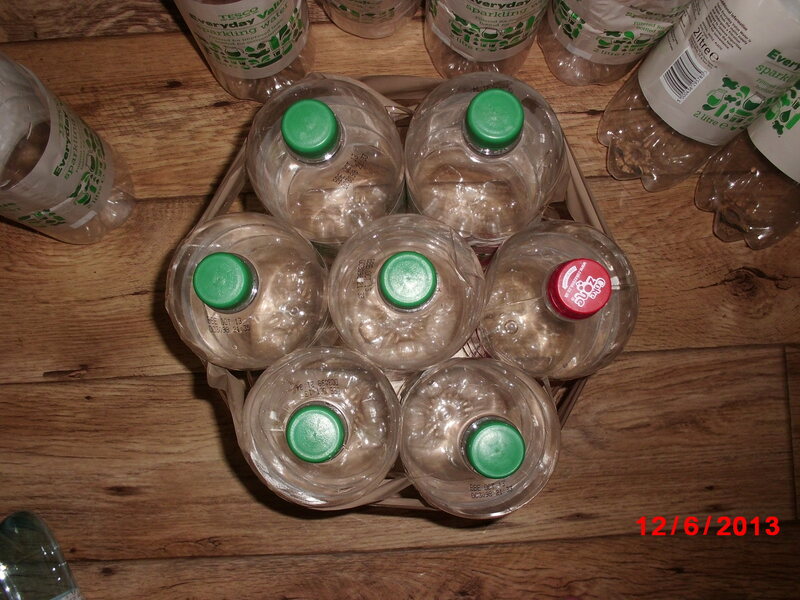 Layer the 2 pieces of cardboard on the top & bottom of the bottle core. Tape it on with loads of tape to make it immoveable. I used brown tape. 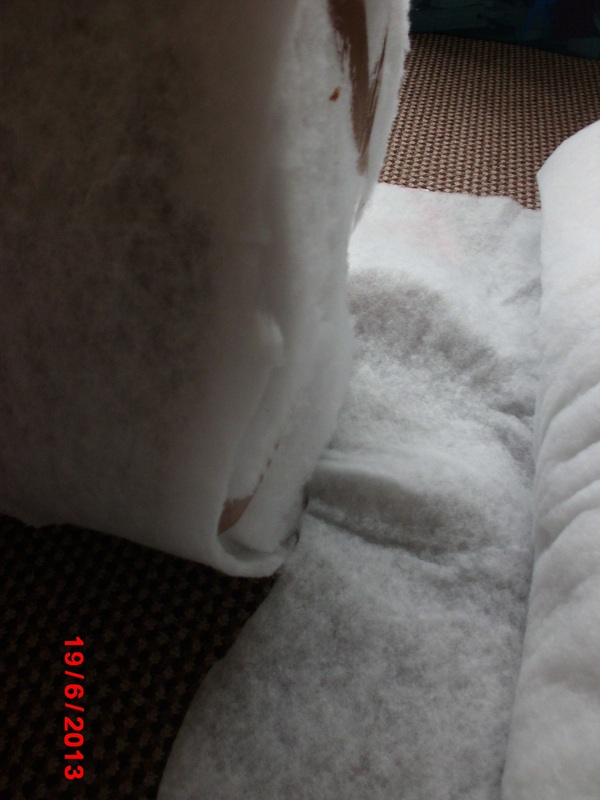 Now you need wadding, you can also use thick foam. 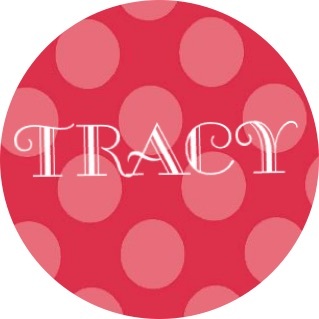 Cut 4 circles 2 for top & 2 for bottom. If you use very thick wadding 1 layer may be enough. You also need wadding for the sides. 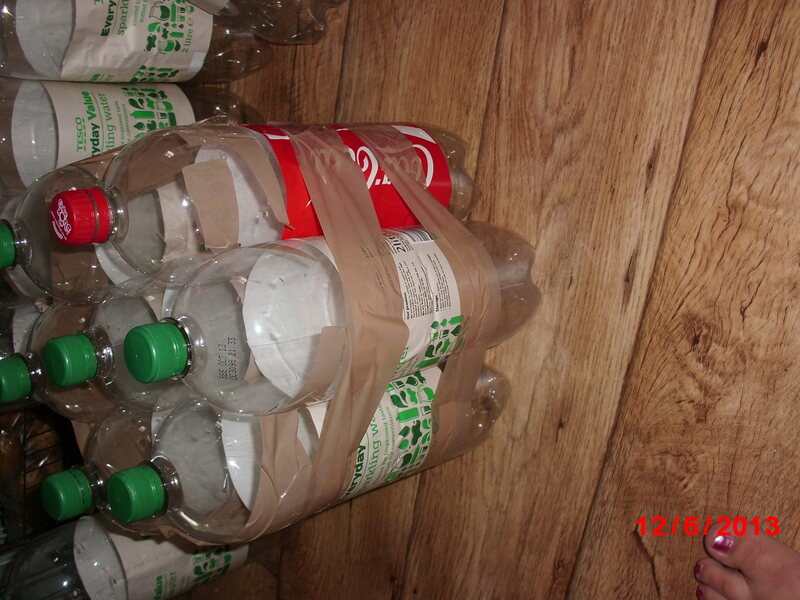 I did this by taping the edge to my bottle core & rolling & cutting as I went. Again I used brown tape to secure it all but you may have a better way of doing this. Now you have to measure it: the top from 1 side to the other, height of the whole lot & the circumference. 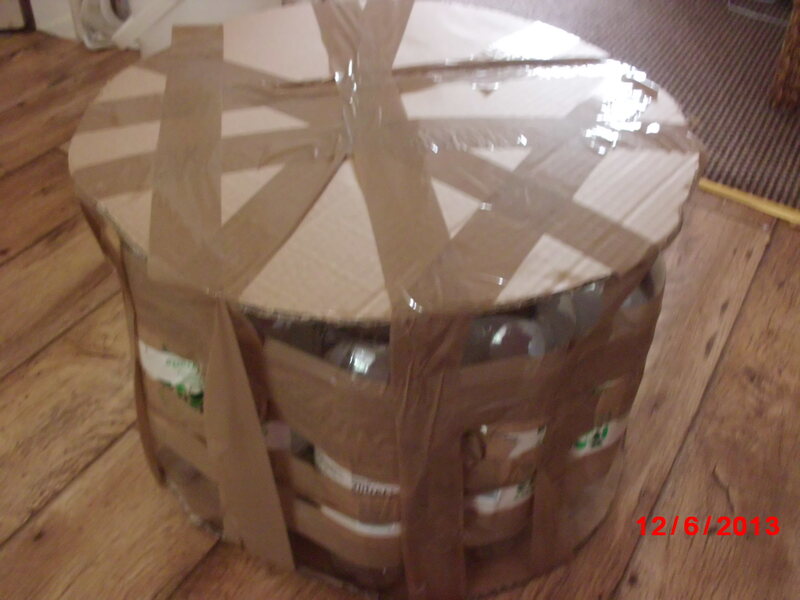 Don’t squeeze too much as want your stool to retain some shape without the cover being baggy. Unfortunately at this point I lost some pictures so will describe best I can. Using same method as before make a pattern for the top then do same for outside strip. 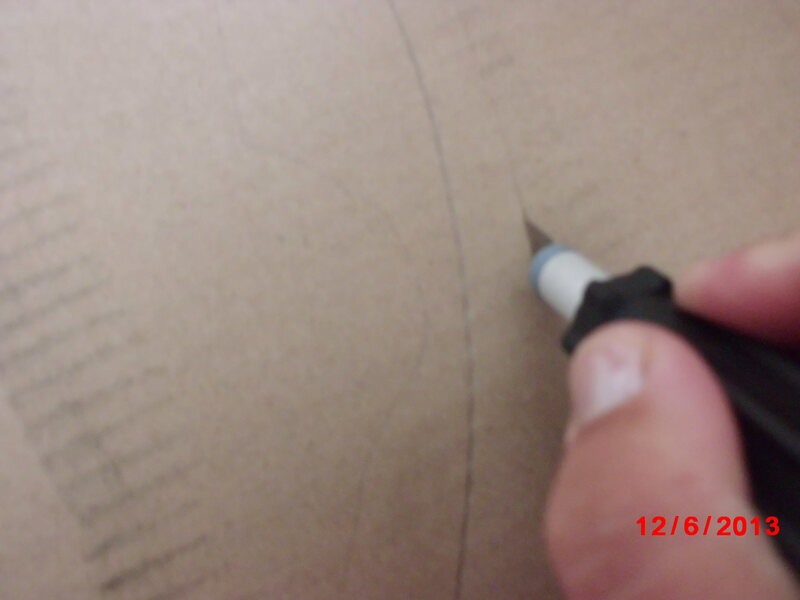 You need 2 circles & 1 strip.Remember to add seam allowances. Start by joining the 2 ends of the strip together, right sides together. Next pin one circle to the strip right sides together also. Sew this using your seam allowance. You will end up almost like a soft bucket type shape. Repeat for bottom but don’t sew it the whole way maybe half way because you need a gap to put it on the stool. Now you will have hand stitch the gap closed. 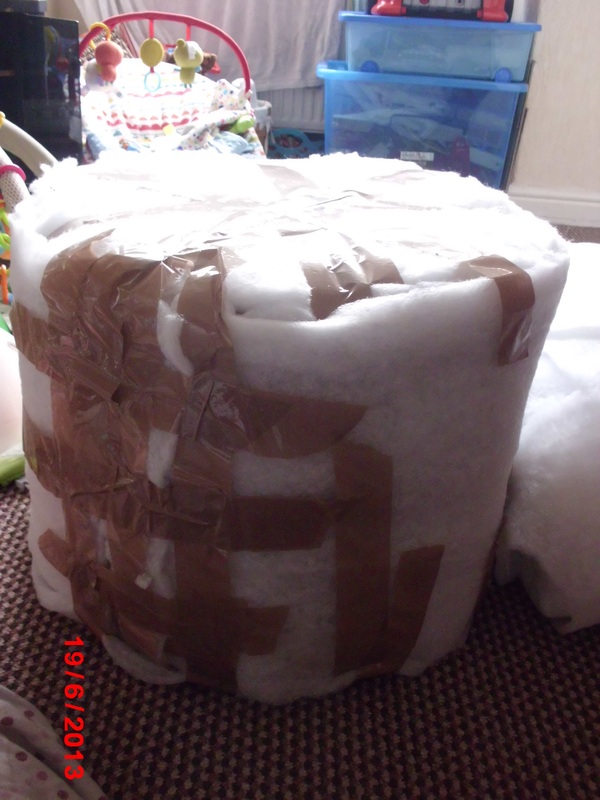 I did this by tucking in the circle part & folding the outer part inwards this creates less bulk & is neater. Slip stitch the gap shut. 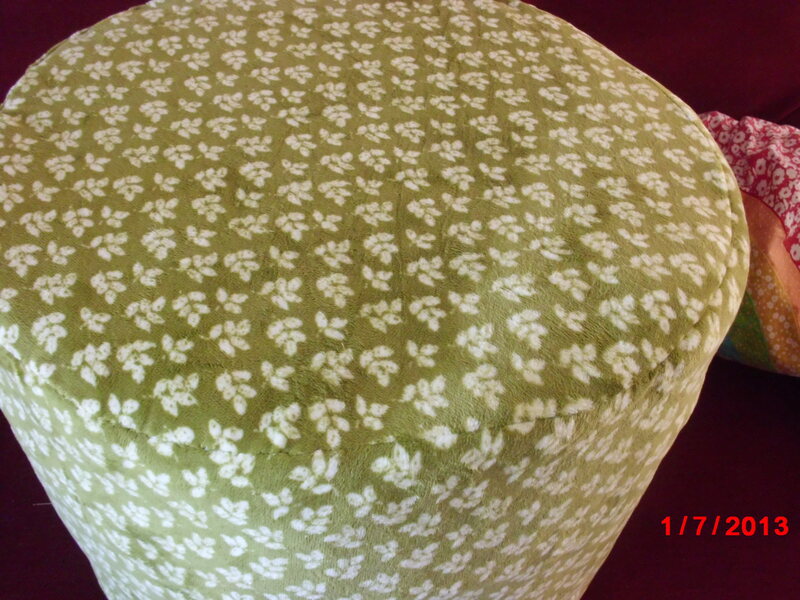 You have a nice new foot stool for minimal cost! I can say this has been a great stool and yes doesn’t last forever but held up for at least 5/6 months. How to rustle up a pirate costume quick!